• B.C. 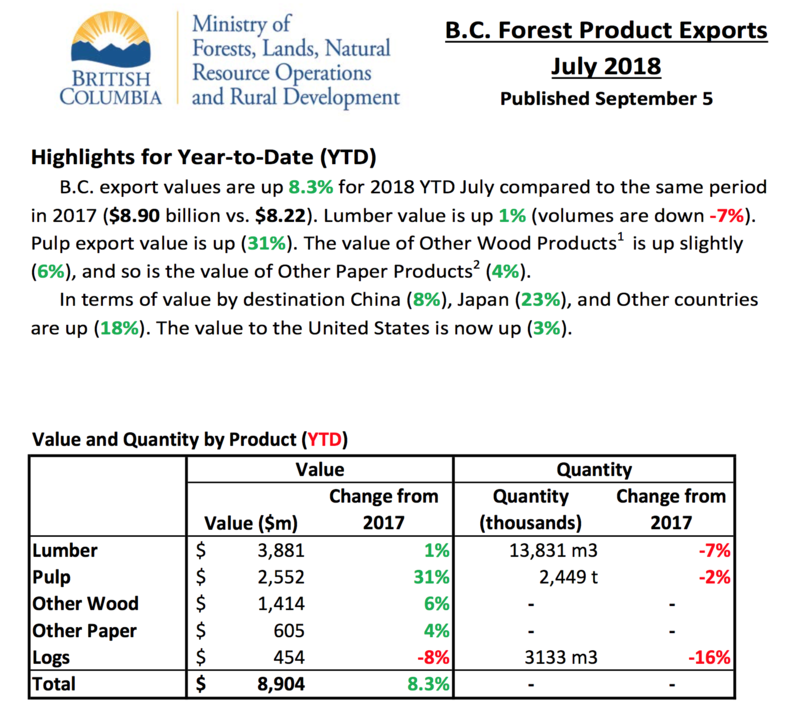 total forestry export values are up +8.3% for 2018 YTD July compared to the same period in 2017 ($8.90 billion vs. $8.22). 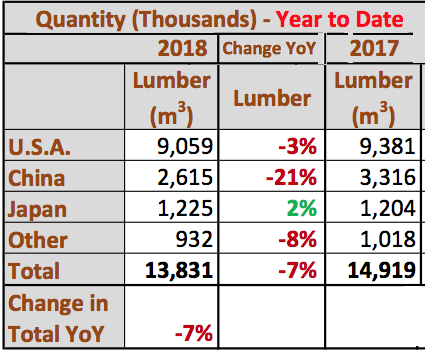 • Lumber value is up +1% but volumes are down -7%. • Pulp export value is up +31%. 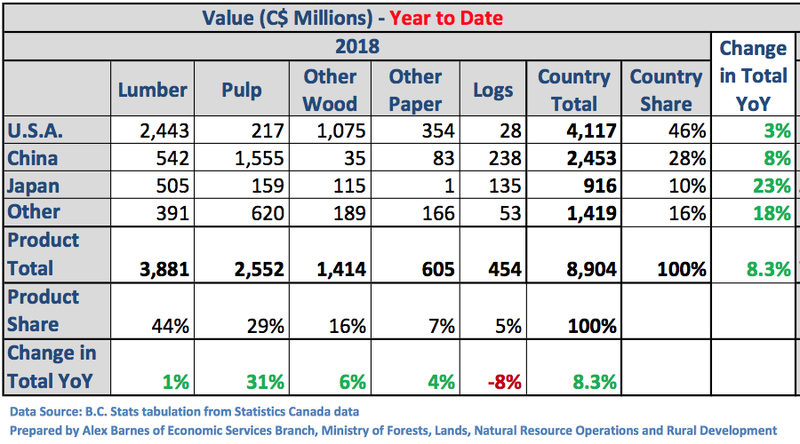 • The value of Other Wood Products is up slightly +6%, and so is the value of Other Paper Products +4%. • In terms of value by destination the value to the United States is now up +3%, while that to China (+8%), Japan (+23%), and Other countries are up (+18%).